It definetly is a valley, lots of altitude. Rocky, rooty and fast. Switchbacks, it has all types of terrain, not for the beginner at heart. Morning Choice trail is nice and not too technical. Ridge Trail is what it means, ridge with a lot of rocks. 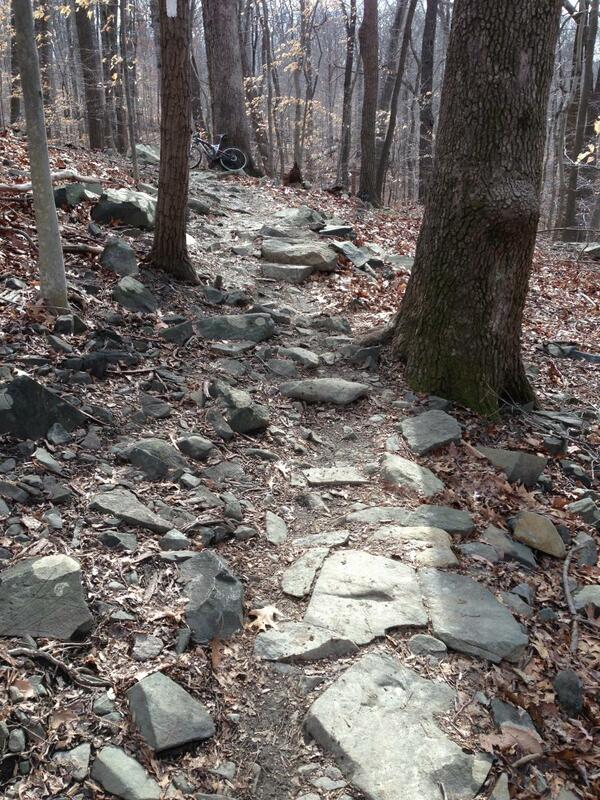 Soapstone, Bull Run trails are awesome and the one that I can't remember the name is also pretty good. ENJOY. A: not for hybrid bikes. Q: are there steep hills on this trail -Daniel Lee Dault Jr.
A: Depending on the sections you ride, there can be. Review: Avalon Section South of River Only Review: Meh, it's alright. You know what they say about expectations- set them low and you won't be disappointed. I kinda broke that rule based on a lot of the reviews on here. I'd heard so much about Patapsco, and I was looking for some techy, gnarly trails without having to go out to Frederick, and was sure this would be it. Well, it isn't. There are a few gnarly sections here and there, but they're pretty short. Basically there are too few gnarly bits and not great flow. Although some mountain bikers (gawd bless em) tried to add some obstacles by putting fallen trees across a few trails, there aren't a lot of other technical features (and eventually hopping up and over logs, some quite big, every twenty feet gets a little old). Just mostly some roots here and there and a few rocky bits- Cascade Falls trail near the falls was good and gnarly but pretty short. And the non-technical trails (Morning Choice for ex) are pretty much like riding on a wide sidewalk but don't have very good flow- you can tell they were originally hiking trails. There was really only one drop of significance (on Morning Choice where it turns to head over to Rockburn Loop). Rockburn Loop was pretty fun but not that long. Ridge trail is a misnomer- I rode it from Cascade Falls to the Connector Trail back to Morning Choice and it was never on the ridge, just a lot of ups. The little Connector Trail going from Morning Choice down to Ridge would be cool- kinda steep and a bit more technical- unfortunately for me I went the wrong way and it sucked.  A nice circuit ride to get in tech and downhills and fun bits would be start at Patapsco Trailhead at Landing Road, Dropped pin Near 5569-5539 Landing Rd, Elkridge, MD 21075 https://goo.gl/maps/jmEAfqFgqQL2 take Morning Choice to the Connector Trail (I think its marked Green) down to Ridge Trail, turn right onto Ridge Trail, do the Rockburn loop each way a couple times, then back up Morning Choice. When you get to intersection of Morning Choice and Connector Trail (green) again turn around and bomb that downhill and drop a couple times- it's fun- if you can hit that drop without having braked beforehand you can get some air, then take Morning Choice back. On way back turn off Morning Choice and hit Nacho/Logs trail to test your skills over logs and log piles- it just loops back into Morning Choice. Then back to your vehicle. Bottom line- this place is fine if you are new and looking to improve or to just get a good workout in, and if you live nearby its great to have close, but if you are skilled and looking for gnar, to rip or get air, this ain't it. The reviews saying this is the best mountain biking in Maryland obviously don't get around much. Don't drive a long way to get here expecting something too awesome- I could have had just as much fun at Fairland Reg Park and it's 20 mins from my house, and Schaeffer and Bacon Ridge have way better flow and about as much tech. Review: One of the best places to ride not named the Shed. 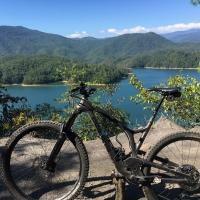 Review: I had just started MTB and this was the toughest 18.5 miles I have ever ridden. 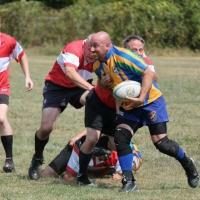 Can't wait to do it again when my skills and confidence improve. Review: Awesome place to bike (and hike). A wide variety of trails and things to see. Everything ranging from gravel and rolling hills to steep, rooty, rocky trails with massive obstacles. Just make sure you know where you are! 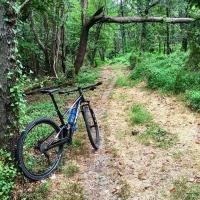 Review: By far the best trail in MD I've been to yet. Several stream crossings, bridges and rock gardens. I recommend taking the ridge trail to the blue trail, left to yellow, then the purple loop for about a 2 hour ride. Review: Rode here several years ago right at the time of the spring thaw... not so fun. However, I've been back here several times over the last year and I have really come to appreciate these trails. There is very good elevation change in several areas especially if starting from the parking area in the valley. The section of trails that includes Morning Choice, Rockburn, Cascades, Garrett's Pass and Ridge Line is excellent. There's some enjoyable downhill, excellent flow, a number of short steep climbs and a few stream crossings. You have the option of extending to other sections of the park to create an epic ride. Review: Hidden gem!! 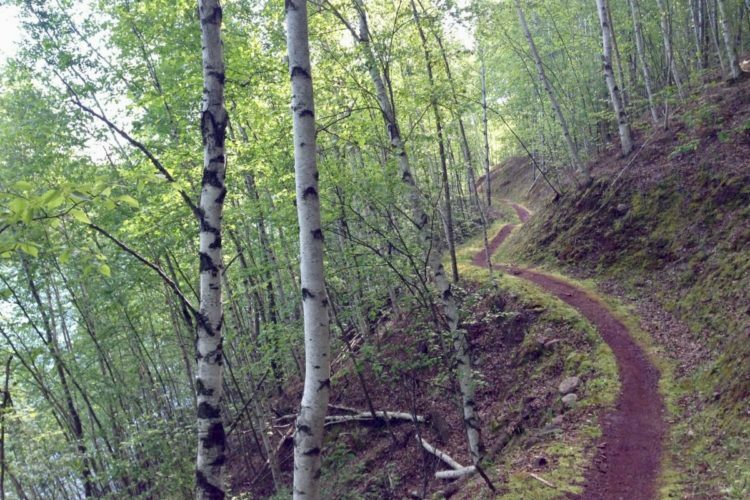 You won't be disappointed making the effort to find this trail system. 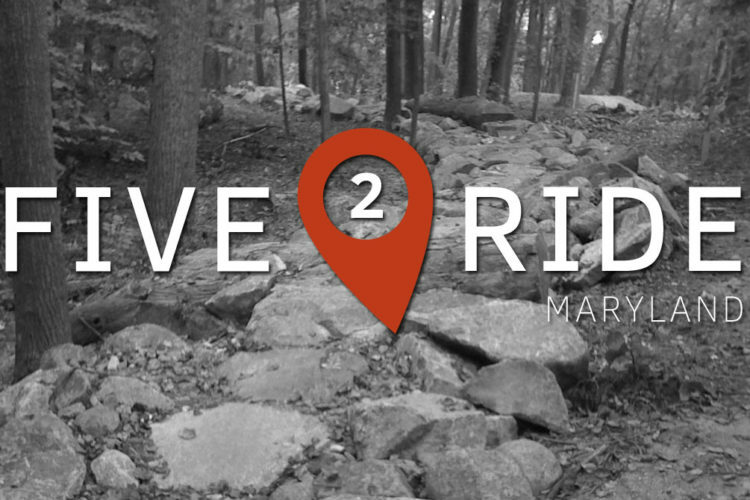 A mix of flow, rock gardens, bridges and S curves with well maintained berms and trails. Camping available and wicked friendly locals. Hit this place up!! 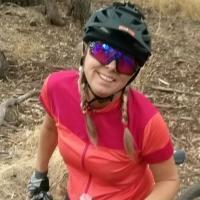 Review: Beautiful trails, I have only ridden there once, well twice in one trip. I was in the area for business and took my bike. I found a few really wet areas but overall an awesome trail system. Many people out on the trails and everyone was nice to me and suggested routes to take. Also was nice that I had a topo map printed off from this very site! Patapsco Valley State Park (Avalon Area) MTB Trail 4.68 out of 5 based on 76 ratings. 76 user reviews.